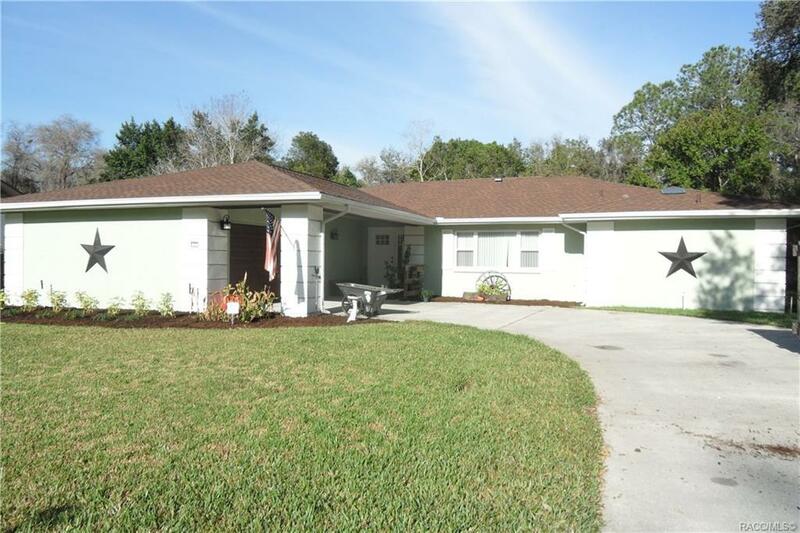 Beautiful Sugarmill Woods 3 bedroom, 2 bath, pool home. This home's interior features a updated Kitchen with newer appliances, a new porcelain floors throughout, a wood burning fireplace in the family room, formal dining room, formal living room and updated laundry room. The exterior is fully landscaped with an irrigation system, a caged pool with paving stones overlooking a private backyard with a large greenbelt. The roof is only 4 years old and the AC only a year and a half. Directions: Us 98 To Left On W Oak Park Blvd. To Left On W Oak Park Blvd. (The Left Will Be At The Bend In The Rd. To Stay On Oak Park) To Right On Greentree To Home On Left.